Lowepro launched a sweepstakes with some very tempting prizes, including a Pro Roller Lite 250AW ($295 street price), Pro Trekker 300 AW ($289 street price), Photo Sport 200 AW Backpack ($149 street price), and more. To throw your lens cap in the ring for a chance to win one of these great bags, enter here. It's easy. Takes about 15 seconds. A sharp image gives us more detail. And sometimes it's the details that separate a decent shot from a terrific one. So here are a handful of tips to keep in mind to help you sharpen up your shots. 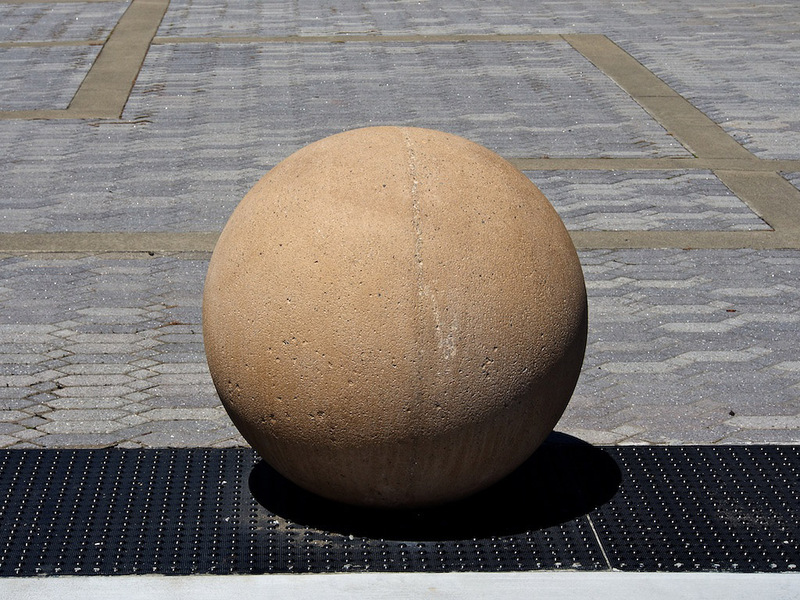 Even a simple shot, such as this sphere, becomes more interesting when you can see the detail in its surface. I read a article at photojojo.com titled, Get Sharp Photos with These Easy Tricks. There's some good stuff there, including bracing yourself against a solid surface during exposure and using various types of tripods. (I didn't agree, however, with their take on post production sharpening. More on that later.) Bottom line here is that good camera technique often leads to crisper images. Make sure that you're focusing on the most important area of the image, and that it's locked there when you press the shutter button. Pay attention to how you you hold the camera. The one-handed grab shot while leaning out the car window probably won't get you a detailed image. Instead, when possible, use your body as a stable platform for the camera. Practically every DSLR lens on the planet has been lab tested by an independent source. Those are worth looking at for your glass. Pay attention to the aperture settings that provide the sharpest results. Often it's in the middle of the range, such as f/5.6, 8 and 11. Keep those in mind when detail is an important factor for the image. Using sharpening in post production can give the illusion of a better focused image, but it doesn't fix the focusing or camera shake problem itself. Basically, most good sharpening filters increase edge contrast at the pixel level. Sharpening is great as a finishing touch, but the real work happens at capture. So make sure you use good camera technique to record a detailed image, then sharpen to taste in post. And when you do, use a high quality filter such as Unsharp Mask, Smart Sharpen, or Edge Sharpen. General rule of thumb is, if the filter just says, "sharpen," stay away from it. Check your camera settings to make sure you're capturing at the highest quality Jpeg option, or use Raw. You want to hang on to as much image detail as possible when you take the shot. The quality of the optics attached to the camera makes a difference. Not every lens in your camera bag has to be top-notch pro glass. But it does pay to have one or two razor sharp lenses in your kit for those images that require lots of detail. By carefully focusing on the object that you want to render with great detail, then opening up the aperture to limit the depth of field, you can create an image that has a sharp object against a "soft" background. By doing so, your foreground image will really pop. When you want a crisp image, you need to know how to capture it. But every shot doesn't have to be razor sharp. Use the right technique for the photo. Elderly subjects, for example, might appreciate a softer approach to their portraits. Apple's iPhoto for iOS is a terrific app, but you can easily run aground if you want to move your best shots from the mobile device to a Mac. Photo Stream can get you moving again if you use this simple workflow. 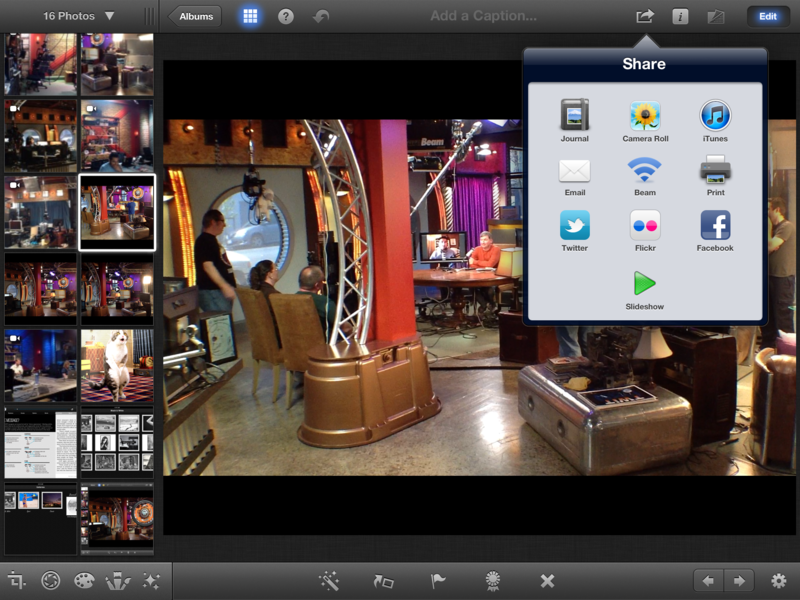 In iPhoto for iOS, copy your best images to the Camera Roll using the Share button. On my Mac, I use Aperture as my primary photo database. That allows me to let iPhoto manage my Photo Stream. (So, I have Photo Stream *turned off* for Aperture, and have it *turned on* for iPhoto.) Using this setup, any image copied to my Camera Roll on the iPhone or iPad automatically is available on the Mac via iPhoto. It just shows up. That allows me to separate the gems from the failures in an organized photo management environment. This system can be put to work for a semi-automatic iPhoto for iOS to Mac connection. Once I work on the shot in iPhoto for iOS and decide that I want to move it to my Mac, I tap the share button in iPhoto for iOS and copy the image to my Camera Roll. Within a minute or so, the picture shows up in iPhoto on my Mac. Now, I can catalog it there, if iPhoto has become my dedicated mobile photography manager, or I can move it to Aperture, Lightroom, or any other system I already have in place. This integration will improve up the road with new software and operating system releases. But for now, you can manage the images you work on in iPhoto for iOS without making yourself crazy in the process. Adobe Photoshop CS6 recently debuted with new features such as non-destructive cropping, Adaptive Wide Angle adjustments, enhanced video tools, and so much more. We thought it would be a great to find out from Bryan Hughes the inside scoop on these features. Why Bryan? Well, he's a photographer and the Photoshop Product Manager -- the perfect guy for our audience. After the interview, I switch gears and talk a bit about the latest time lapse movie I recorded with iStopMotion for iPad, titled TWiG in 60 Seconds. This time, I also used a Losmandy StarLapse system so I could add panning shots to the video. I explain all during this segment of the show. Plenty of food for thought. I hope you enjoy it. You can also download the podcast here (40 minutes). Or better yet, subscribe to the podcast in iTunes. You can support this podcast by purchasing the TDS iPhone App for only $2.99 from the Apple App Store. Action is the May 2012 Photo Assignment. You can read more about how to submit on our Member Participation page. Deadline for entry is May 31, 2012. I've experimented with many apps to display pictures on the iPad. It's a perfect device for showing off your work. But finding the right software can be a challenge. Portfolio Pro for iPad builds a strong case to be that app. Branded overview page on Portfolio Pro displaying my logo and available galleries. One of its best features is the ability to create different galleries of my images. I've found this helpful because different clients are interested in different subjects. I've always had a hard time creating just one portfolio for everyone. You can control which galleries are visible, and for that fact, which images in those galleries can be viewed, by going into edit mode (triple tap) and clicking on the "eye" icon. This allows you to quickly customize the experience for the viewer without having to delete and add photographs. As you'd expect, you can move pictures around to display in the order you want. The viewer can swipe to go from image to image, or play a slideshow. Portfolio Pro also accommodates video allowing you to stay in the same app for both stills and movies. Thumbnail view inside a gallery. 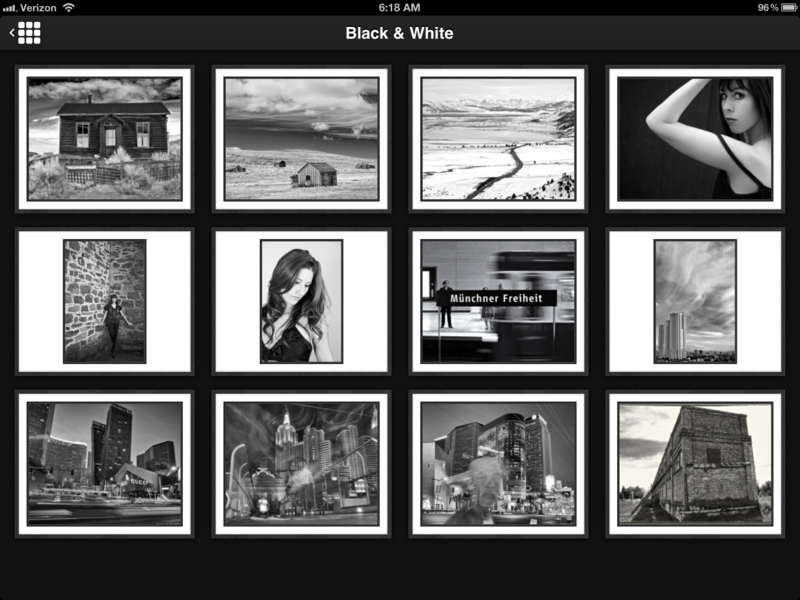 You can populate your portfolio from the iPad's camera roll, Flickr, or Dropbox. 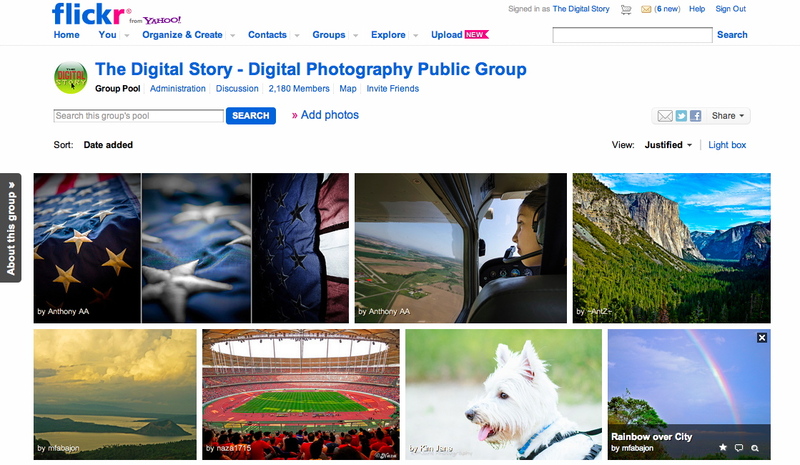 If you have a lot of images on Flickr, you'll be able to build a variety of galleries quickly. The Dropbox connectivity is good too. Despite claims for "ease of use," on the site, give yourself some time to learn how to work the application. The creators provide some helpful movies to get you started. I recommend watching them. The current price for Portfolio for iPad is $9.99, expensive by iOS standards. But you'd pay more for a binder to house your prints, and this app is far more flexible. If you want to get serious about a digital portfolio, then I would consider this software. My recent webinar, A Fresh Look at Familiar Subjects in B&W is now available online. This recorded version of last week's webinar, sponsored by Nik Software and Lowepro, has two main parts. I begin by demonstrating how B&W can sometimes tell a story better than color images. I then move into Silver Efex Pro 2 itself and show my workflow. If you missed the live event, but are interested in seeing the presentation, you can watch it now on Vimeo. What goes on behind the scenes at Leo Laporte's TWiT studio in Petaluma, CA? I recently spent an afternoon there recording scenes with a 3rd generation iPad to create the time lapse movie, TWiG in 60 Seconds. The process was as interesting as the activity I recorded. Screen grab from the time lapse movie "TWiG in 60 Seconds" (This Week in Google) recorded at the TWiT Brick House Studio with a 3rd generation iPad. The latest iPad features a 5-megapixel iSight camera that records 1080p video at 30fps. Its low light performance is much improved over the 2nd generation model. Combine that hardware with iStopMotion for iPad, and I have a complete solution in a very portable package. How Did You Record the Panning Scenes? One of the impressive features of the TWiT Brick House Studio is how big the facility is. In order to convey that sense of space, I wanted to pan during the movie. To accomplish this, I used the StarLapse camera motion system made by Losmandy. The basic system sells for $575, and it includes camera mounting plates, battery-powered controller, interconnecting cable, and a 12-volt cigarette lighter power cord. How Did You Mount the iPad to the Rig? Makayama makes a clever accessory called the Movie Mount for iPad. Not only can you attach your iPad to a tripod or motion system, but the mount also accommodates accessory lenses and includes a shoe mount (for microphones, etc.). By using the Makayama, I was able to attach a wide angle lens to the iPad so I could capture more of the Brick House Studio environment. Once I had all of the hardware in place, I launched iStopMotion and set it to record a frame every 3 seconds. I captured a variety of scenes, some with panning, and others without. I then used the DropBox feature in iStopMotion to upload the raw footage to my online storage. By doing so, I could access the files from my MacBook Air, and assemble the movie using Final Cut X. I uploaded the finished file directly to YouTube from Final Cut. In the past, I've also done the editing right there on the iPad using iMovie, such as in this title, The Overlook. When Oliver from Boinx Software came to me with the idea for this movie, I wanted to do it right away. What a great opportunity! And thanks to the support from Leo and his crew, plus the great guys at Losmandy and Makayama, we were able to take you behind the scenes at the TWiT studio for a glimpse of how Leo Laporte informs and entertains us on a daily basis. Subjects that we normally think of in color can often resonate without it too. 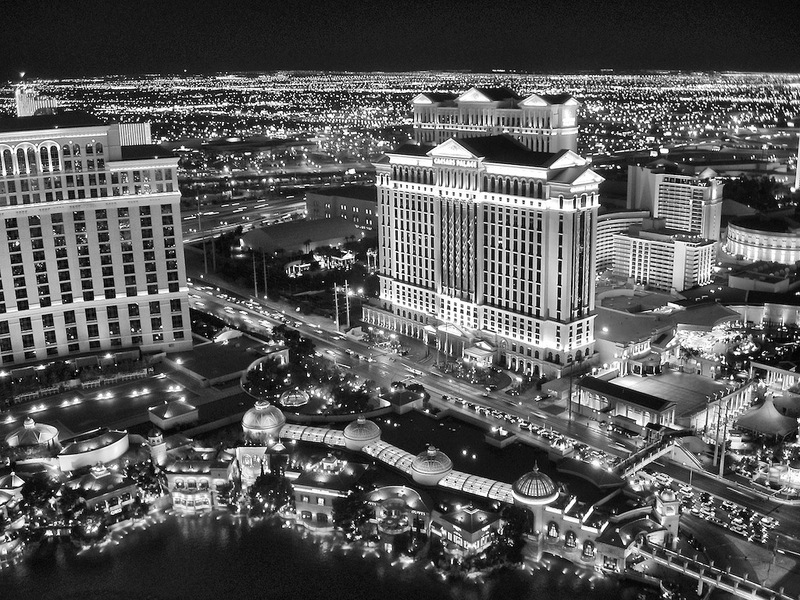 That's the premise for my project, B&W Vegas. This is also the focus of today's webinar, A Fresh Look at Familiar Subjects in Black and White. For those who attended my online talk, here are some of the featured photos. All of the processing was handled by Aperture 3 and Nik Silver Efex Pro 2 for the B&W conversion. My next open Aperture Workshop is scheduled for Nov. 2012, in Santa Rosa, CA. You can get on the pre-registration list, plus learn about all the other photography workshops offered this season by visiting the TDS Workshops page. I became a Pentax fan (again!) when I reviewed the Pentax K-5 for Macworld Magazine. In addition to its outstanding image quality, the K-5 felt like a camera designed by photographers. I now use it as my "hiking camera" because it's compact, weather resistant, and accepts affordable zoom lenses that are designed for the outdoors. Now, we have more goodness coming our way with the just-announced K-30 and the 50mm f/1.8 prime. Both have reasonable price tags of $899 (K-30 with kit zoom) and $299 (50mm) respectively. In addition to being great image making machines, I like the value that Pentax offers. For example, for $900 you'll be able to buy the K-30 with 18-55mm zoom (which is excellent). You can expand your capability by adding the Pentax DA 50-200mm zoom that's also weather resistant for $215. Then, for your prime lens, get the new 50mm f/1.8 for (my guess) around $250. You have an excellent all weather kit with 3 lenses for a total investment of $1,365. And if you're worried that because Pentax isn't part of the big 2, your investment might be at risk. Forget that. On the business side they have been making smart moves too. 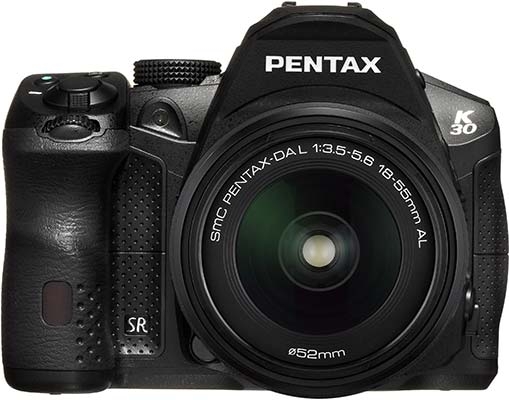 So if you're a photographer that enjoys taking pictures in the great outdoors, I would definitely keep an eye on Pentax. They certainly have their eye on the ball.